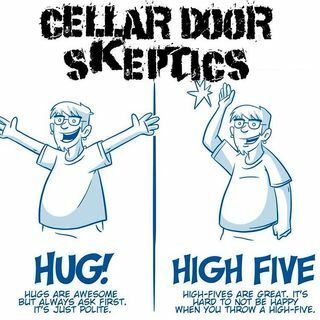 Cellar Door Skeptics is bringing you not one, but two charities of the week. Their segment talking about local charities is extended this week as they interview Sara Cunningham of Free Mom Hugs, an organization dedicated to help other parents realize the having children whom are LGBTQ is wonderful and normal. Sara tells her story about how she left conservative christian beliefs and came to the understanding that her beliefs ... See More should never dictate who she loves. She talks about her organization Free Mom Hugs, how it started, and the desire to help make an impact on society to shed the ridiculous idea that LGBTQ people are not deserving of love.